Late last year, I decided that paying ADT $40 a month wasn’t worth it. I had 10 year old security equipment and they wanted a lot of money to upgrade to the latest and greatest systems. * I looked around and it became obvious that do it yourself home automation and home surveillance was something I would need to research. There weren’t any “kits” and local retail stores didn’t carry any electronics that I would want. My first decision was on what kind of technology to use. My first step was video surveillance that included motion sensing and alerts. Looking around, there wasn’t much of a choice for configurable, functioning equipment. The only affordable player that qualified was d-Link. So, I picked up a few D-Link IP cameras. Two DCS-932L’s and two DCS-942L’s. In retrospect, I could have gone with all 932L’s. These are easy to setup if you just want to view them from within your own home and if you have no advanced needs. I will detail what I learned in another posting. 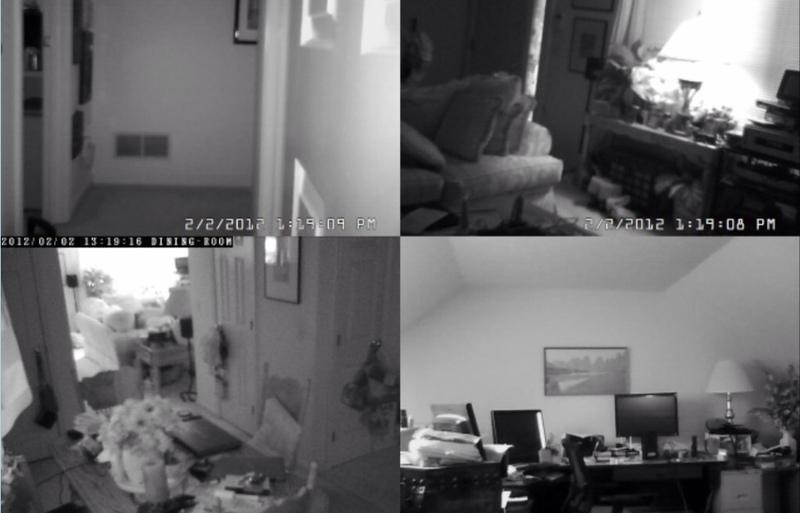 Setting up to fulfill home surveillance needs was not trivial. That process alone will be a separate blog post. I can also tell you that while D-Link offers a free web based viewer for web browsers and a free app for the iPhone, you won’t want to use these. D-Link includes D-Cam Viewer software for Windows on their CD’s which is a real joke as it requires you to turn of UAC. I settled on desktop controller from Blue Iris software that, while costing $50, does everything I could ask, including scheduling triggered alerts via email or SMS, etc., and it is viewable over the Internet with authentication protection. And there is a free iPad as well as an iPhone app that works beautifully with these cameras. Each camera can be put on a schedule for triggered alerts. If one of the motion sensors is triggered, an email and/or SMS can be sent. I am quite happy with the video surveillance system. *Note: I left the local ADT alarms intact, and shut off the monitoring service that cost $40/month, so if someone tries to come in through doors and windows when I have armed the ADT system, an ear-splitting alarm is set off.